Data centers—where our photos, videos and documents saved in the cloud are stored—are composed of hundreds of thousands of servers that are constantly sending information back and forth. Electrical switches act as traffic cops, making sure that information sent from one server reaches the target server and doesn't get lost along the way. Server networks could instead be connected by optical fibers, with photonic switches acting as the traffic cops, Wu said. Photonic switches require very little power and don't generate any heat, so they don't face the same limitations as electrical switches. 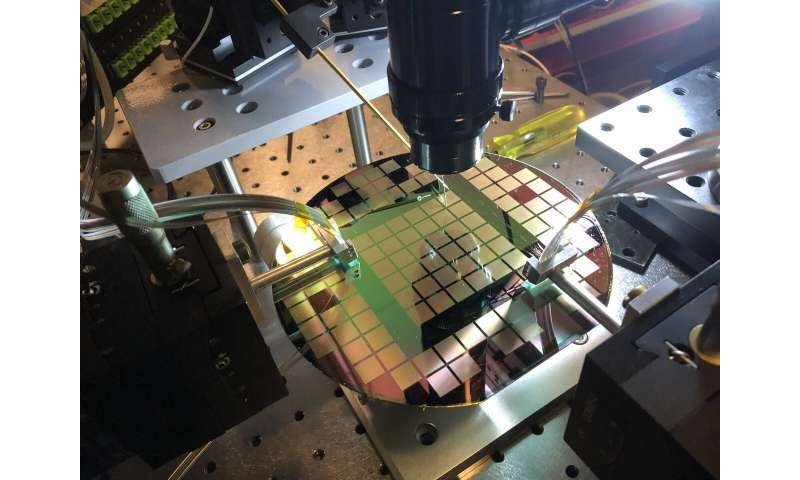 However, current photonic switches cannot accommodate as many connections and also are plagued by signal loss—essentially "dimming" the light as it passes through the switch—which makes it hard to read the encoded data once it reaches its destination. 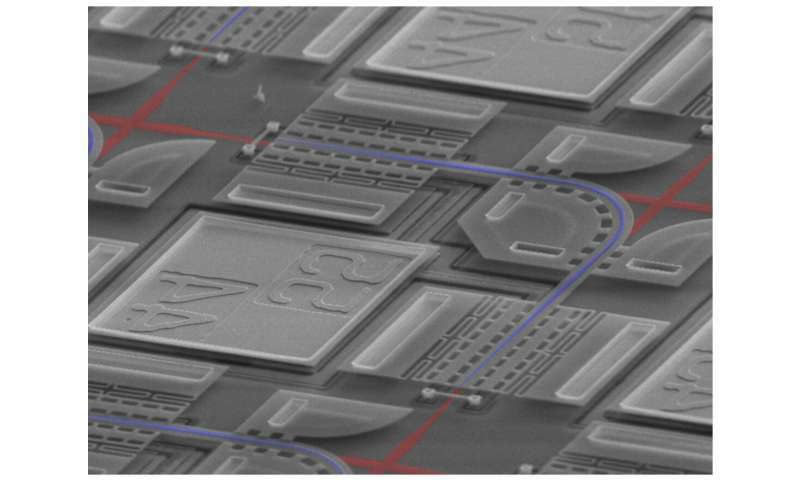 The team uses a technique called photolithography to etch the switching structures into silicon wafers. 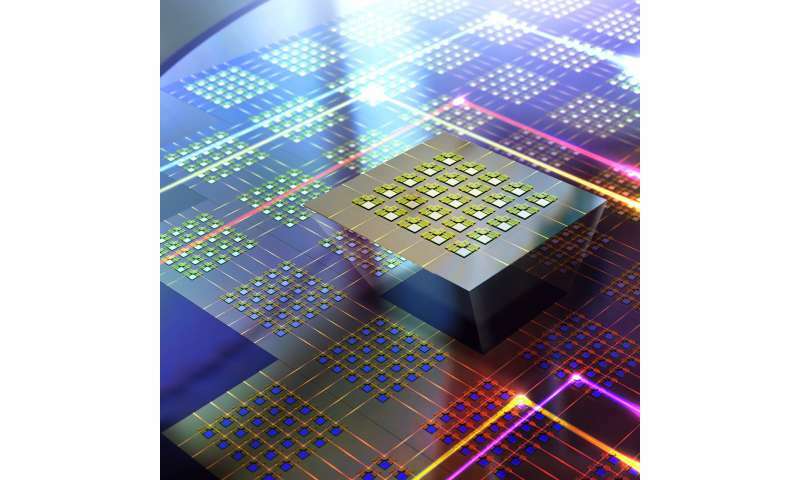 The researchers can currently make structures in a 240-by-240 array—240 light inputs and 240 light outputs—with limited light loss, making it the largest silicon-based switch ever reported. They are working on perfecting their manufacturing technique to create even bigger switches.